52.9% of women aged 15-44, or about 32.5 million, were mothers in 2010, according to the Census Bureau. The U.S. birth rate dipped in 2011 to the lowest ever recorded, led by a plunge in births to immigrant women since the onset of the Great Recession. 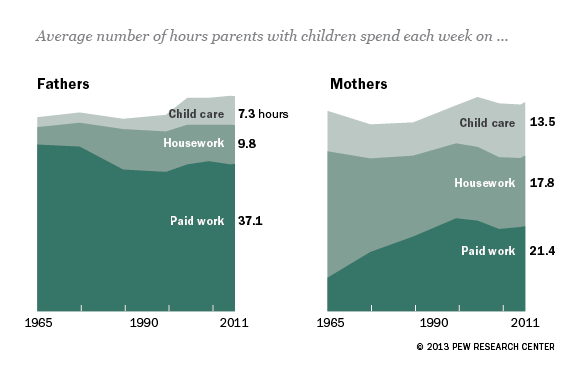 Today’s mothers have more education than ever before, according to a new Pew Research Center analysis of Census data. 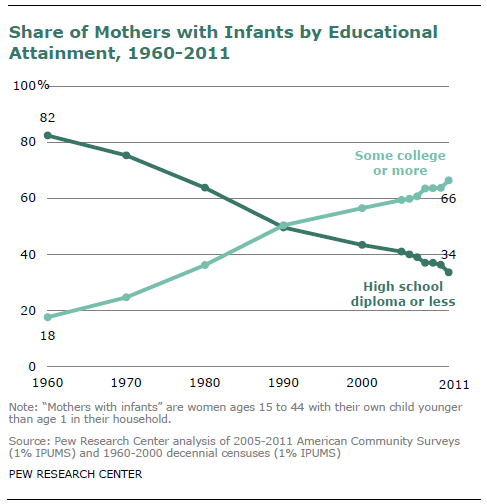 About two-thirds of new mothers in 2011 had at least some college education, reflecting a decades-long rise in the educational levels of all women. In 2010, the average age of first-time mothers was 25.4, according to the National Center for Health Statistics. Age at first birth has been trending upward for a long time; in 1980 the average age was 22.7. 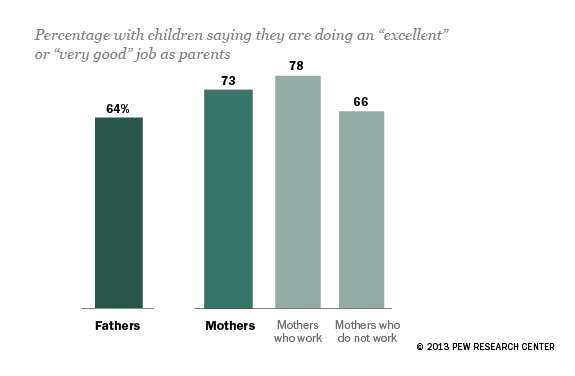 Though 56% of working mothers say it’s very or somewhat difficult to balance work and family responsibilities, 78% say they’re doing an “excellent” or “very good” job as parents.